The Tarot is an ancient system made up of 78 cards, each of which is meant to be predictive. They are traditional and structured with specific layout, each with predefined meanings for each placement and symbol. Oracle cards are more fluid, less structured and the number of cards per deck varies. There are some accompanied by reference books and some designed to mirror a theme or call on deities, for example: angels or ascended masters. Oracle card decks are less structured, allowing for divine guidance to visibly shape ones reading. Intuition is left to its own devices to guide ones interpretation with an Oracle card reading. This differs from the structured method woven within the Tarot. So if you’re looking for a good oracle card app we highly recommend you download Inner Oracle Cards. 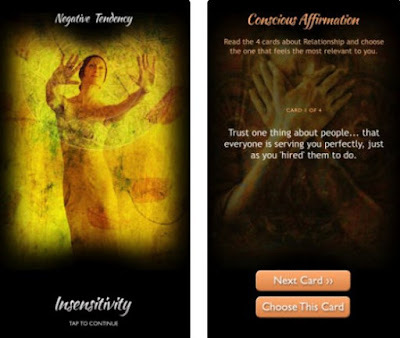 Inner Oracle Cards is a powerful cross-platform app that can help you overcome conscious and unconscious blocks and free the greatness that lives inside you. 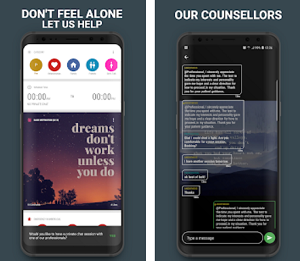 If you want to turn your Android or iOS device into an on-the-go spiritual adviser, we highly suggest you download it right away. The app is created by a father-son team, it’s designed with user-friendly interface and 4 different oracle card decks. Let’s see what the app’s best features are. Want to your own instincts and inner knowing? Or to liberate your true Self? Inner Oracle Cards is a wonderful app that can help us get rid of our limiting beliefs and retained emotions that restrict our life and stop us from experiencing our true Self. 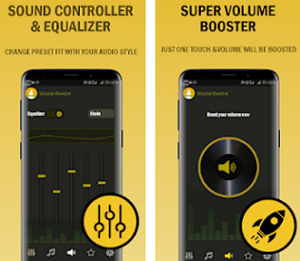 To connect with your intuitiveness and inner wisdom, all you have to do is use this app. How? It’s very simple! Just pick the first deck, follow the steps, think of the burden you have and read your cards. There are 4 different oracle card decks (Issue, Negative Tendency, Conscious Affirmation, and Unconscious Affirmation). They take you to your answers and healing process by giving you step-by-step instructions on how to start integrating practical insights into your daily life. Also, the app features an option for you to save your recent oracle card readings for review and send your card reading to yourself or a friend. Start transforming yourself with quick and amazingly accurate oracle card readings, download Inner Oracle Cards from one of the following links and enjoy your journey of liberation!